Only a few hours from Quito you’ll find Baños, a tropical little town on the cusp between the Andes and the Amazon and at the foot of Tungurahua, one of Ecuador’s active volcanoes. Due to its location and incredibly lush natural surroundings, Baños offers visitors some of the best outdoor adventure activities in the country and is a must-see experience destination during your trip to Ecuador! Public transport: To get from Quito to Baños by public transport, you’ll need to first go to the Quitumbe bus terminal , located in the south of Quito. To get to the terminal from northern Quito (where most hotels and hostels are located), you can either take a taxi (depending on the time of day, this can cost between $10-20 dollars) or the trolley line headed South. If you decide on the trolley, make sure you travel by day and always keep an eye on your belongings. Once in Quitumbe, you’ll find regular buses departing Quito to Baños from 6:00 a.m. to 5:00 p.m. for around $4. The trip takes about four hours by bus. 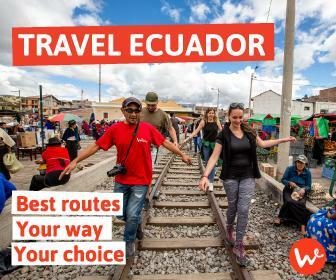 Wanderbus Ecuador: Alternatively, you can get to Baños on the Wanderbus, which leaves regularly from Quito at pre-selected, convenient pick-up points. For instance, the Jacamar Pass goes from Quito to Baños three times a week, stopping by the Cotopaxi National Park (Limpiopungo Lake) and the Quilotoa crater on the way. This is an excellent way to see some of the sights you might otherwise miss en route to your final destination. 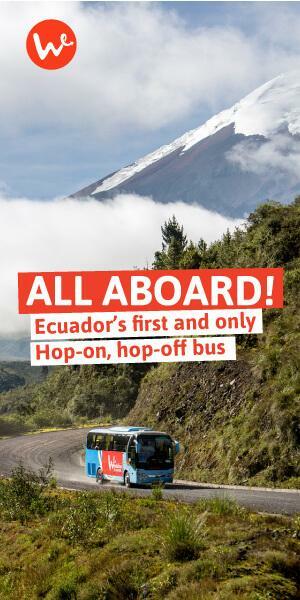 Ecuador is a backpacker’s paradise because of how easy and affordable it is to get around. Public transportation can get you from the beach to the Andes for only a few dollars! That said, you should take extra precautions when planning your trip using public transport. As in many South American countries, theft and assault are a risk, particularly for solo travellers and women. Avoid travelling by night. Though many public buses leave or arrive late at night/early in the morning, these are also the hours when robberies and assaults are more likely to happen. Safety in numbers: Travel with friends, or stick with new friends you make on the road. Don’t carry around too much cash. Instead, use a credit/debit card or travellers checks and only take cash out in safe areas (e.g. at a bank or your hotel). Avoid dangerous neighborhoods. When you first arrive to a new city, make sure you identify which neighborhoods are best to avoid. Your hostal can give you specific information about this. Don’t tempt thieves! : Hide expensive objects such as your camera, phone and jewelry and always keep your backpack on you, preferably in a way that makes it difficult for someone to unzip its compartments. When traveling by bus, either store your bags under the bus, or keep them with you, but don’t store them under the seat or in the overhead rack. If you’re going to take taxis, take safe taxis. Ask your hostal to call you a taxi or use applications like Uber or Cabify. Consider services like the Wanderbus, which is safer and more convenient than public transport, gets you to all the best destinations, and provides the additional fun and safety of a group setting with the flexibility to also do your own thing. Baños offers activities for all types of travellers, from nature lovers to adrenaline junkies to your average tourist whose sole purpose is to R-E-L-A-X. The name Baños is short for Baños de Agua Santa, which translates to “baths of holy water”, referring to the thermal baths located near the city center. After a full day of activities, you’ll definitely want to soak in these pools, which are open daily from 5:00 a.m. to 9:00 p.m. Entrance fees vary between $2 and $3. One of the more popular activities to do in Baños is the Waterfall Route, which takes you to a number of tropical waterfalls amidst the surrounding rain and cloud forests. You can either do the route by bicycle, motorcycle or on a dune buggy. Rental costs vary between $5 and $10 per day and to rent a motorcycle or dune buggy you’ll need a valid driver’s license. By bicycle, this route can be completed in around 3 hours, depending on your level of fitness. Some companies also offer to bring you and your bike back by truck. When driving along the road, ensure you stick to your right and avoid going through the tunnels as there is often traffic. Located along the Waterfall Route, visiting this waterfall is well worth the 45 minutes it will take to hike down and back up the canyon. Follow the signs and stairs that will take you directly into (and under) this breathtaking waterfall. This highligy instagrammable spot near Baños has been made famous on social media. A simple tree swing on a cliff overlooking a valley, the Casa del Arbol is a wonderful place to appreciate the lush landscape around Baños and get a bite to eat. Ziplining and bungee jumping: What better way to get around than zipping across canyons and valleys? Called “canopying” by the locals, this is an adrenaline-filled activity you should experience while in Baños. Along the Waterfall Route you’ll find a number of companies offering ziplining for around $10 a pop. For around the same price, you can bungee jump off a bridge overlooking the Río Blanco River or the San Francisco River. 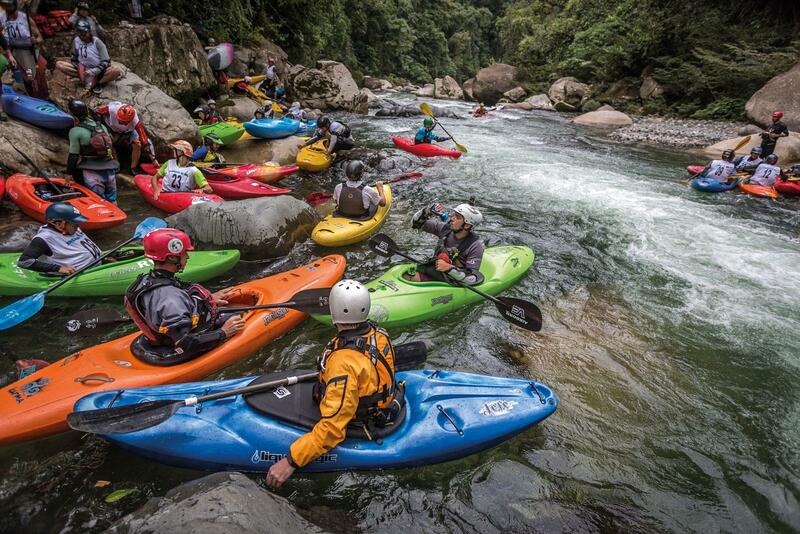 Given the number of rivers and waterfalls in the area, a few white water adventure companies have set up shop in Baños to offer visitors these activities. While walking around the city, you’ll see many small tour operators that can organize activities for you and your group at reasonable rates. If you’re traveling from Quito to Baños, prepare for warmer and more humid weather; the climate in Baños is tropical and pleasant throughout the year. Apart from your regular packing items, you should include the following to your packing list. It’s likely you’ll be out walking, hiking and exploring so make sure to take comfortable shoes and some sandals to change into. In case it rains or if you’re going to see some of the nearby waterfalls take a rainproof jacket, your bathing suit, and a change of clothes. Also, since we’re still near the equator in Baños, make sure to take a hat, sunglasses and apply plenty of sunscreen to avoid getting sunburnt. 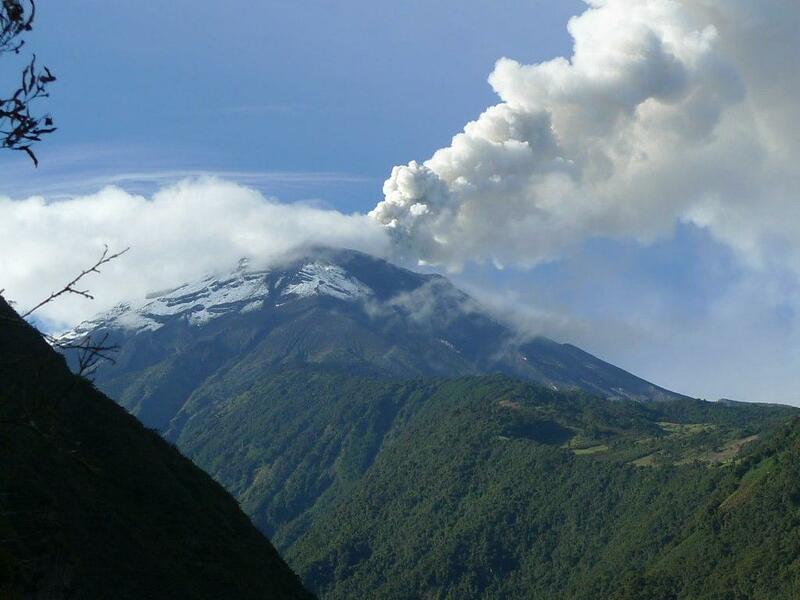 Finally, if you plan on climbing up part of Tungurahua, the active volcano, you may need warmer gear such as a fleece and windbreaker. Sandra is a Dutch/Peruvian blogger, ceramist and guitar builder based in Quito, Ecuador. When she's not writing about life and travel in Ecuador, she organizes ayahuasca retreats and builds things.